The Society is still run on the same format as when it started in 1955, with meetings in the winter months and outings in the summer. In 1955 they had as patron: Colonel Sir Francis Whitmore KCB, KMG, D.S.O. The Lord Lieutenant of Essex (until 1960). 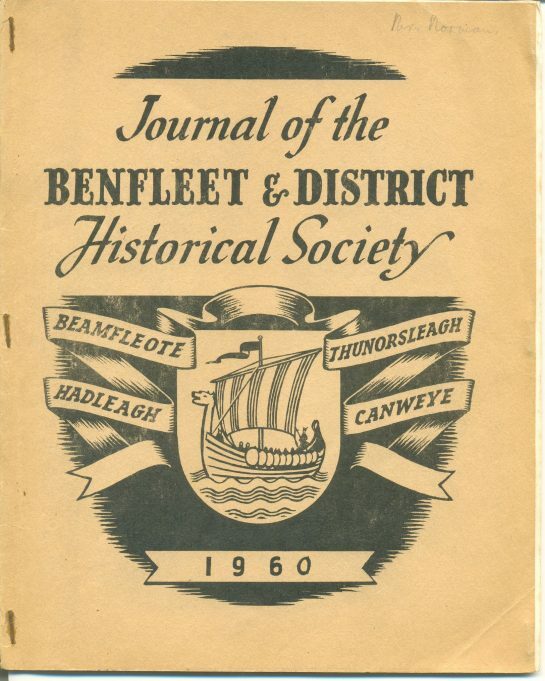 The first Journal dated March 1956, they were to include summaries of lectures and programmes of future meetings as well as publishing the work of the society in general . I will try to summarise the most important Benfleet historical points covered in these Journals 1956 to 1982.